It’s been a good amount of time since the Galaxy Zoo: Hubble and Galaxy Zoo: CANDELS projects were finished, tackling more than 200,000 combined galaxies thanks to the efforts of our volunteers. While we’ve had a couple of science papers based on the early results (Melvin et al. 2014, Simmons et al. 2014, Cheung et al. 2015), a full release of the data and catalog has taken slightly longer. However, we’ve been working hard, testing the data, and developing some new analysis methods on both image sets. This month has been really exciting, and we now have drafts for both papers that are just about finished. Once they’ve been accepted to the journals (and revised, if necessary), we’ll have some much longer posts discussing the results, and of course attaching the papers themselves. Hopefully that’ll be quite soon. We posted briefly about the 227th meeting of the American Astronomical Society, which several members of the Galaxy Zoo science team attended last week. I wanted to share a little bit more about the research that we presented, and the experiences we had at the meeting. Asst. Prof Lucy Fortson, PhD student Melanie Galloway, and postdoc Kyle Willett (Univ. of Minnesota) at an evening poster session at the 227th AAS meeting. I presented a poster on the data release of the Galaxy Zoo: Hubble project. While it’s been a couple of years since we formally finished the classifications for GZH, we’ve been working hard in the meantime on aggregating and calibrating the data; this includes two supplementary data sets that users helped classify in the newest interface. 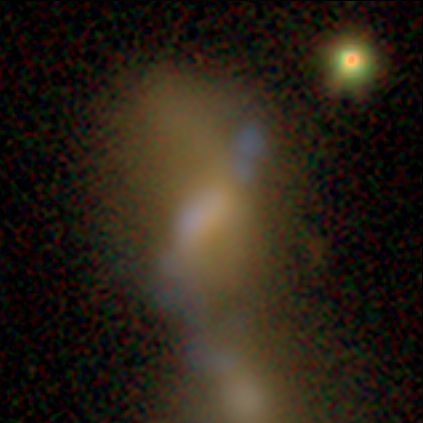 One of those sets were the images of galaxies processed with the FERENGI code in order to mimic their appearances at higher redshifts; these have been absolutely critical for the calibration/debiasing procedure we’re applying to the real Hubble galaxies. The second set of new images were the deeper images of galaxies in the GOODS north and south fields, completed early last year. We’re using these to analyze the effect of depth on morphologies, and seeing how the disk/clumpy fractions change with improved imaging. AAS went well for me, and I got to talk about GZH with a number of new colleagues. I particularly liked having my poster between Melanie Galloway’s and Brooke Simmons’ — I got to point out GZH science results on one side and the next generation of even higher redshift galaxies on the other, which made for a very nice story to tell. Kyle Willett’s poster at the 227th AAS meeting. Click to download the full PDF. Galaxy Zoo users probably know that there are two main types of galaxies: disks and ellipticals. There is a cool relationship between these shapes and their color: disks tend to be blue (which is an indicator of young stars), while almost all ellipticals appear red (which indicates the stars are old; “red and dead” is a term commonly used.) Astronomers believe that this relationship between color and shape implies that galaxies tend to be created as disks, and over their lifetimes, transform from young disks to old ellipticals. Data from Galaxy Zoo revealed that there are also red disk galaxies in the Universe, and right now it is not known how they fit into our current perception of galaxy evolution. Mel used data from Galaxy Zoo: Hubble to tackle this question by analyzing how the fraction of red disks changed between now and 6 billion years ago. She found that this fraction was actually much higher in the past! This result probably means that red disks don’t tend to stay red disks, and may instead be a common phase of a typical galaxy’s evolution from blue disk to red elliptical. Melanie Galloway’s poster at the 227th AAS meeting. Click to download the full PDF. At this year’s AAS conference, I presented work which focused on the relationship between galaxies’ masses and their sizes. In general, more massive galaxies are also physically larger (but not always!). However, the mass-size relationship is different for galaxies in the distant universe compared to those in the nearby universe. It’s also different between disk galaxies compared to ellipticals in that the sizes of elliptical galaxies grow much, much faster than those of disk galaxies but don’t seem to grow much in mass. 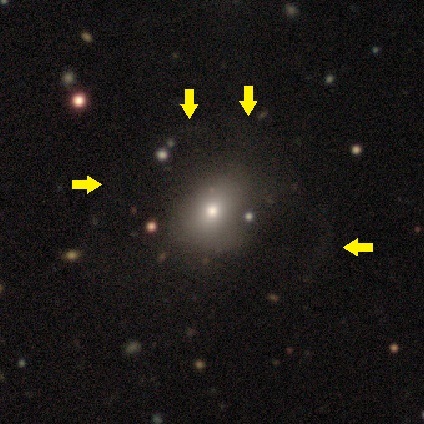 To explain this behavior, models predict that disk galaxies must evolve into elliptical galaxies at a rate that mimics the growth rate of the ellipticals. These models predict that there should be many more elliptical galaxies of a particular size and mass in the nearby universe compared to disks. 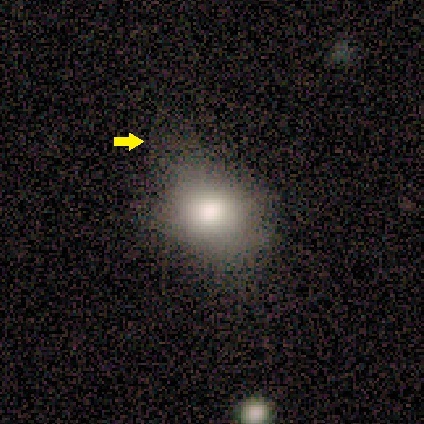 To test this, we need to keep track of the number of galaxies as a function of mass, size, and type (elliptical or disk) over a large period of time. 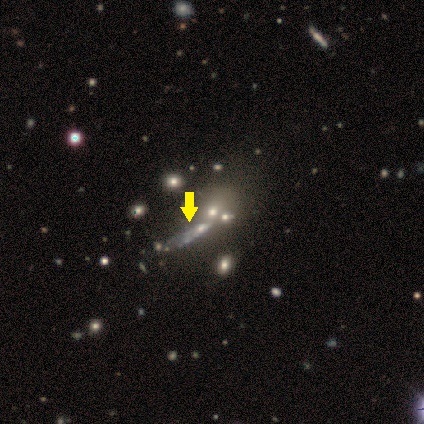 My initial work utilizes classifications from Galaxy Zoo 2 separated by Smooth or Features/Disk. All the galaxies in this catalog are considered to be in the local universe. Using sophisticated statistical techniques, I’m able to robustly determine the number of galaxies as a function of mass, size and type. 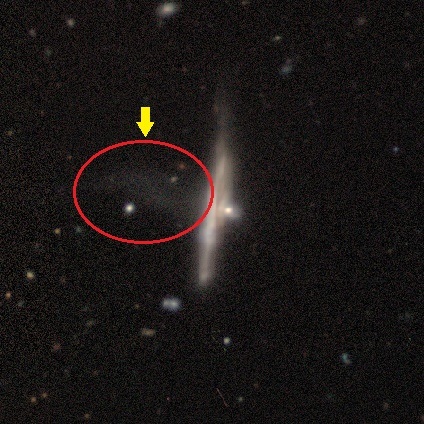 Next I’m applying the same techniques to classifications from Galaxy Zoo: Hubble and Galaxy Zoo: CANDELS as these catalogs contain galaxies from the more and more distant universe. Once we have the analysis from all three we can compare the numbers of galaxies at each time and finally test those models! Melanie Beck’s poster at the 227th AAS meeting. Click to download the full PDF. Melanie Beck discussing her poster with Prof. Chris Conselice (Univ. of Nottingham). AAS is always a hectic science bonanza, and presenting a poster is a way of slowing things down a bit: unlike a talk, which is over in 15 minutes or less, you get to have your results up all day. My poster was an introduction to the upcoming release of classifications for the high-redshift CANDELS galaxies, so it shows a basic overview of how the classifications work and an early science result about featureless disks at high redshift. It was great to present 2 data releases side-by-side, with Kyle’s poster to my left, and it was even better to get to present the result of the volunteers’ efforts. Between these posters and the previous data releases for Galaxy Zoo, we’ve measured the shapes of hundreds of thousands of galaxies (actually, I think it’s over a million!) spanning the last 12 billion years of cosmic time. Brooke Simmons’ poster at the 227th AAS meeting. Click to download the full PDF. The “green pea” galaxies were one of the first discoveries of the Galaxy Zoo; they were first noticed by several of our early volunteers, and appeared in a paper led by Carie Cardamone in 2009 (with over 100 citations so far!). They’ve been the subject of a great deal of follow-up research since then, much of which we’ve tried to follow on this blog. 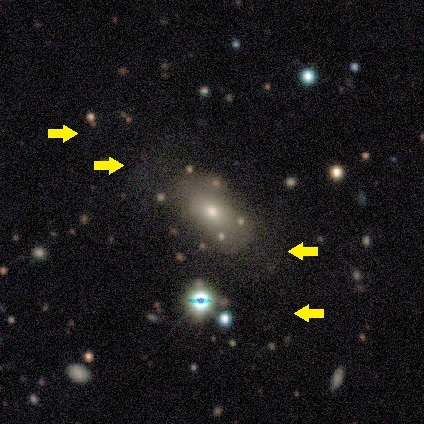 Examples of the green pea galaxies originally discovered in Galaxy Zoo. Top Row: Sloan Digital Sky Survey images. Bottom Row: Hubble Space Telescope images. A new paper on the Green Peas has just appeared in Nature, one of the most prestigious and widely-read journals in science. A truly international team of researchers (working in Ukraine, Czech Republic, Switzerland, France, Germany, and the United States) made observations of one green pea galaxy, known as J0925+1403, using an ultraviolet spectrograph on the Hubble Space Telescope. They were able to measure emission from what astronomers call “Lyman continuum” photons; this is light produced by massive stars that are solidly in the ultraviolet wavelengths. The reason this is so important and interesting relates to one of the most fundamental steps in the history of the Universe that astronomers know of. The majority of matter in the Universe is hydrogen (formed shortly after the Big Bang), and much of it exists in diffuse clouds between galaxies, which is called the intergalactic medium. We know from observations that almost all of that hydrogen is currently ionized – that means instead of consisting of a neutral atom with one proton and one electron orbiting it, the average hydrogen atom between galaxies has had its electron stripped away from the proton. This is a big difference because neutral atoms interact with light differently than ionized atoms. If the hydrogen between galaxies were neutral, it would absorb much of the light coming from individual stars and galaxies, making a huge difference in our ability to observe distant objects. It’s been known for years the Universe is currently ionized; however, about 700 million years after the Big Bang, we know that the Universe used to be neutral. That’s pretty well-established — however, there’s a great deal of debate about what caused the sudden reionization. Something must have produced large numbers of photons that traveled into the intergalactic medium and ionized all of the hydrogen fairly quickly. There have been lots of papers proposing different possible sources for this, including dwarf galaxies, active galactic nuclei, quasars, very early and massive stars, etc. Diagram illustrating how individual galaxies may have re-ionized the neutral hydrogen in the Universe shortly after the Big Bang. From Erb (2016). This new paper proposes that green pea galaxies could be responsible for re-ionizing the early Universe. The measurements from this paper show that at least one green pea galaxy is actively emitting photons with sufficient energy to ionize neutral hydrogen. Lots of galaxies can create such radiation, but one unique aspect of the peas is that the photons are escaping the galaxy where they’re being formed. Usually they’re absorbed by dust or gas clouds within the galaxy before they can affect the rest of the Universe. 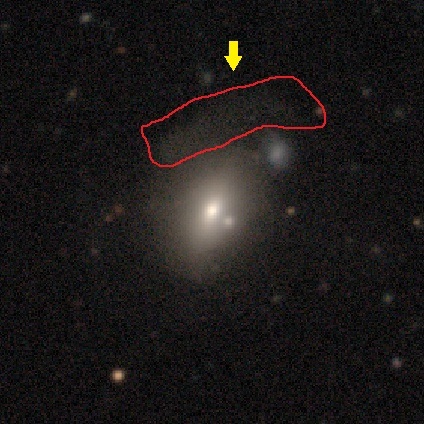 This is the first time that it’s been demonstrated to occur for a green pea galaxy. The paper (Izotov et al. 2016) is available online. Nature has also published a nice summary at a slightly less technical level to accompany the article that I’d recommend – you can read that here. Please post if you have any questions or want to discuss more about what this means. We’re extremely excited that your discoveries are still yielding new and interesting science! Galaxy Zoo is in Florida! As happens every winter, a large fraction of the world’s astronomers have migrated to a large convention center to share and talk about every aspect of research, outreach, education, and methods of astronomy. This is the biannual meeting of the American Astronomical Society: this winter, the 227th edition is being held in Kissimmee, Florida. Conference center: now with alligators! In addition, there are several other abstracts that that use Galaxy Zoo data (although it may not always be the main focus), and several of our core team members (Chris, Kevin, Lucy, etc) are here, but talking about other aspects of their research. It looks to be an exciting week, and we’ll try to blog and tweet more about the amazing things going on in astronomy right now. Check out more of what’s going on at #aas227! Just a quick reference to a piece that came out in Currents, the newsletter of the National Optical Astronomy Observatory (NOAO) in the US. They included a short piece on the classifications from the new images in DECaLS, a survey which is being co-led by NOAO staff and carried out at their southern observing site in Chile. This followed a longer piece in their September newsletter on the first data release for DECaLS, which includes more details on the tremendous capabilities of the new survey. Good reads if you have a moment! 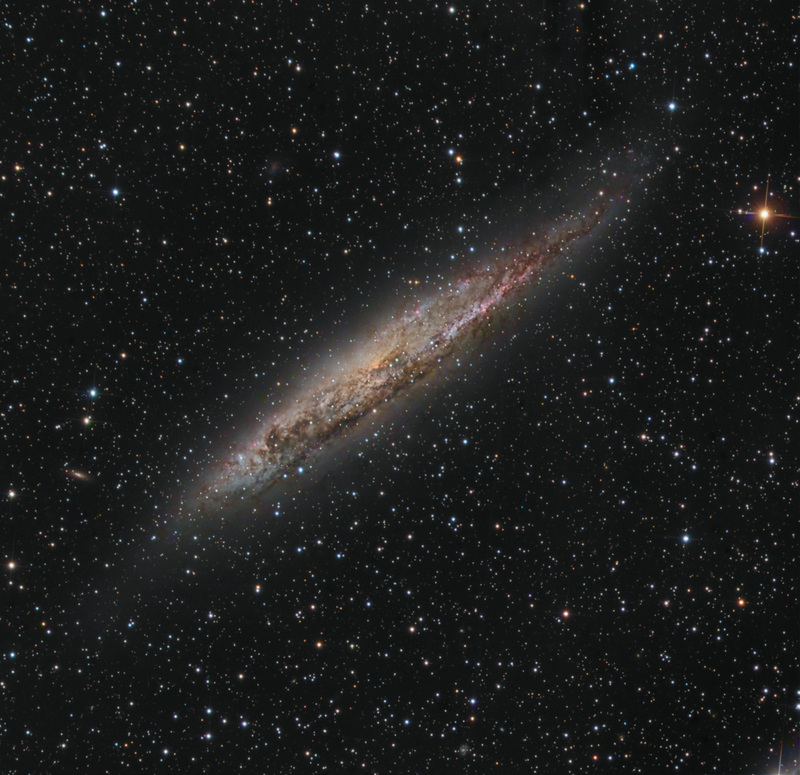 A quick update: Galaxy Zoo volunteers have already provided more than 750,000 classifications of DECaLS images. We’re completely done with about a quarter of the first data release, and all the images have enough early classifications that we’re starting on preliminary analysis soon. As always, thanks to everyone for your interest and help!